From the producers of The Fault in Our Stars comes “one of the freshest teen-coms in ages” (Joshua Winning, Total Film), LOVE, SIMON. 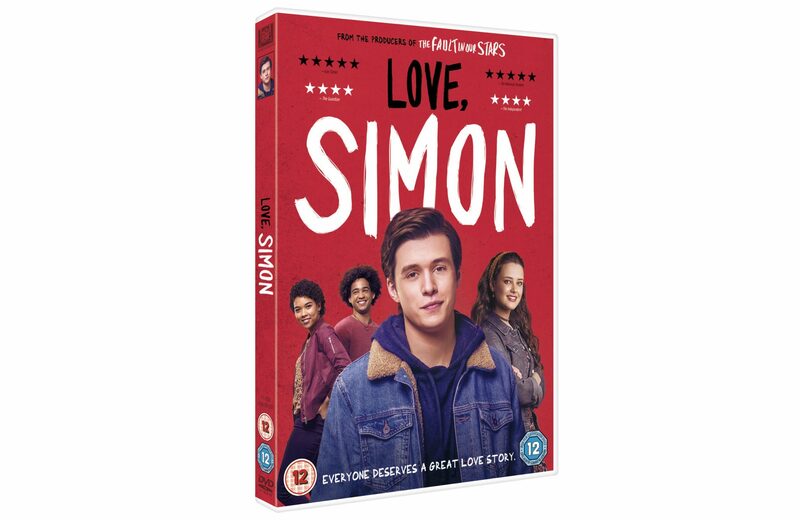 The relatable and heartfelt coming-of-age film captured the hearts of viewers during it’s cinema release, now you can add LOVE, SIMON to your collection at home on Digital Download on 30th July and on DVD on 6th August. To celebrate, we’re giving 2 readers the chance to win a copy of the film on DVD along with the book on which the film is based. Everyone deserves a great love story, but for seventeen-year-old Simon (Nick Robinson), it’s a bit complicated: he’s yet to tell his family or friends he’s gay and doesn’t actually know the identity of the anonymous classmate he’s fallen for online. Resolving both issues will be a hilarious, scary and life-changing adventure. LOVE, SIMON also stars Josh Duhamel (Safe Haven), Katherine Langford (13 Reasons Why) and Jennifer Garner (13 Going on 30, Juno). Be sure to check out the below deleted scene from the DVD extras! Love Simon_Deleted Scene Clip_Nextdoor from Organic Publicity on Vimeo.